So the creativity coaching work that I do is largely based on the work I’ve done to get through the blocks to being a comedian, solo performer, and artist. Here’s a little sample of what I’ve been up to in my creative life. I’ll be performing this show Eat, Pray, Laugh! 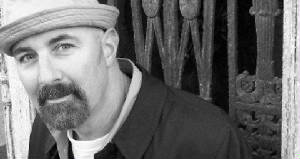 in San Francisco January 20th, 2010 to February 24th each week with kirtan singer Mirabai. You can get tickets here. So the creativity coaching work that I do is largely based on the work I’ve done to get through the blocks to being a comedian, solo performer, and artist. Here’s a little sample of what I’ve been up to in my creative life. I’ll be performing this show Eat, Pray, Laugh! in San Francisco January 20th, 2010 to April 28th each week with a kirtan leader. You can get tickets here. A (mostly) true journey of one man?? ?s life as he attempts to procrastinate finding his calling. For a full decade Dave Pokorny toured the U.S. as a working stand-up comic, however after his first daughter was born he no longer wanted to tell jokes to strangers in bars for money. After seven years as a stay-at-home dad he still doesn?? ?t want to just tell jokes, but he?? ?s realized he has a lot more to say than, ?? ?Hey, put that down…leave your sister alone…because I said so that?? ?s why…and pick that up!??? A mad romp through junior high school and small town life in Louisiana in the 1960?? ?s and 70?? ?s.